***New Price*** Welcome to The Enclave! 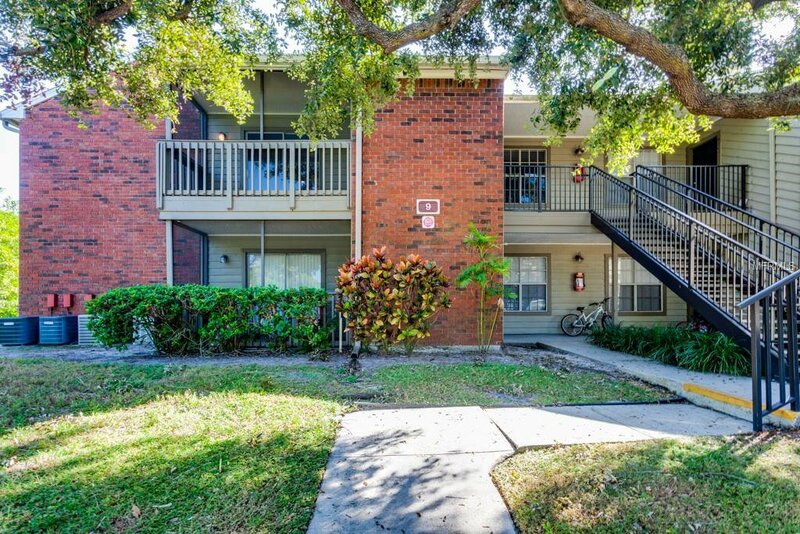 This 2/2 unit sits on the 2nd floor and has recently been upgraded with new laminate floors, new paint, new re-glazing of the baths, and new bath and shower fixtures. There are walk in closets in both of the bedrooms and an En Suite bath in bedroom 2. The kitchen is equipped with solid wood cabinets, stainless steel fridge, oven, and dishwasher plus a closet pantry for food storage. You have a spacious indoor laundry room (washer and dryer included) plus a screened in balcony with an additional storage closet. There is a fitness center, pool area, clubhouse, and tennis court for your enjoyment. Close to shopping, dining, entertainment, and quick access to the highway. Call to schedule your appointment to see this home today before it's gone! Listing courtesy of KELLER WILLIAMS ST PETE REALTY. Selling Office: MCBRIDE KELLY & ASSOCIATES.